Last weekend on the 3rd of June ‘El Tri’, the Mexican national football team, beat the mighty Brazil (2-0) in a friendly match. A Texas record crowd of 84,519‎ packed the Cowboys Stadium and witnessed this spectacular win. Still nothing compared to the enormous Estadio Azteca in Mexico City with its 105,000 spectator capacity. 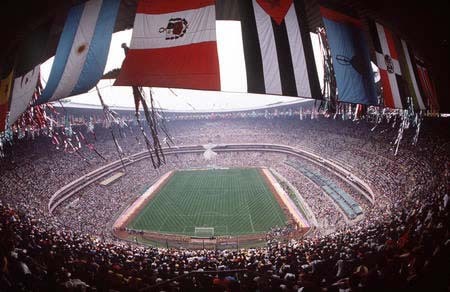 This mythical stadium, the fifth largest sporting venue in the world, hosted two FIFA World Cup finals matches (1970 and 1986), and served as the main site for the 1969 Summer Olympics. But today football is absolutely not the only sport that makes fans go mad in Mexico. Sports like basketball, baseball, tennis, volleyball, wrestling, martial arts, motor sports, charreada (Mexico’s national sport), snooker and golf have a vast and devoted fan base. Mexico’s middle class is of growing importance and the sporting industry will continue to take advantage of this fact. It is considered to be only a matter of time until the larger branded American sports like the NBA, NFL, and MLB will start teams in the country to capitalize on the opportunity to increase revenues. Mexico represents the largest sports market in Latin America. Consumer expenditure on sports activities - including apparel - is a US$4.18 billion market that employs over 200,000 persons and grew with an annual 3.5% between 2003 and 2010. Professional football is the most thriving business and has made FEMEXFUT (Federación Mexicana de Fútbol) one of the wealthiest football federations in the world. Golf, racket sports and exercise equipment deserve special mention among other growing market segments. Both the golf and tennis market grow at a steady pace of 7% a year. Although still associated with the upper class, the extensive television coverage has made these sports more accessible and widely practiced. The market for exercise equipment also shows a broadening tendency. Private gyms, which before solely focussed on weight lifting men, are now expanding their horizon to aerobic fitness for young professionals and families. The total revenue of sports equipment in Mexico amounted to approximately US$478,6 million in 2011, representing a CAGR of 2.8% in the period 2007-2011. Ball sports equipment proved to be most lucrative with a share of 31.6% (US$151.2 million). Forecasts are also positive. The market is expected to reach a value of US$539.2 million by the end of 2016 and there is plenty of room for (additional) high-end foreign suppliers, investors and advertisements. Football stadium infrastructure. Only 8 of the 60 stadiums for professional football have a capacity of more than 40,000 people. In addition, these stadiums like the Estado Azteca are more than 40 years old and in need of severe modernisation and renovation. Mexico has signalled its ambition to host future international sports events, which would also mean considerable investments in the construction of hotels, restaurants, conference centers, etc. Sporting apparel represents a market that exceeds the US$350 million and offers many opportunities for foreign specialist manufacturers. High-end foreign made equipments for ball sports, adventure sports, fitness, golf, racket sports, winter sports and also archery, billiards, indoor games, bowling, inline skating, martial arts, wheel sports, pogo sticks, and fishing equipment. At the moment there are at least 230 golf courses and it is expected that several more will be built during 2012 and 2013. 60% of them are part of real estate development projects. The remaining 40% are part of tourist developments according to the FMG (Mexican Golf Federation). In fact, golf tourism, mainly because of the hundreds of thousands of US travellers, enjoys robust numbers and is a very profitable business activity. Off road motorsport is popular in Mexico. Because of the necessity to modify bikes for use in off road terrain, many (retrofit) parts and components are being imported. Equipment that makes use of modern (ICT) technology: multifunctional equipment, digital cameras, handhelds, GPS, telecommunication apparatus (voice and data), etc. In many cases, foreign companies choose to partner with Mexican counterparts, benefiting from their local business know-how and contact network. Interested in your company’s opportunities in Mexico? We will be more than happy to inform you.